which is situated at a distance of six kilometers from Kalamata at the foot of Taygetos and among settlements Menino and Perivolakia Elaiochorio and created respecting the environment and tradition. It is about 50 miles by Pylo the Costa Navarino, Methoni Koroni, 49 km from Mystras, 52 from Sparta, 44 km from Stoupa Mani and 80 miles from the Diros. 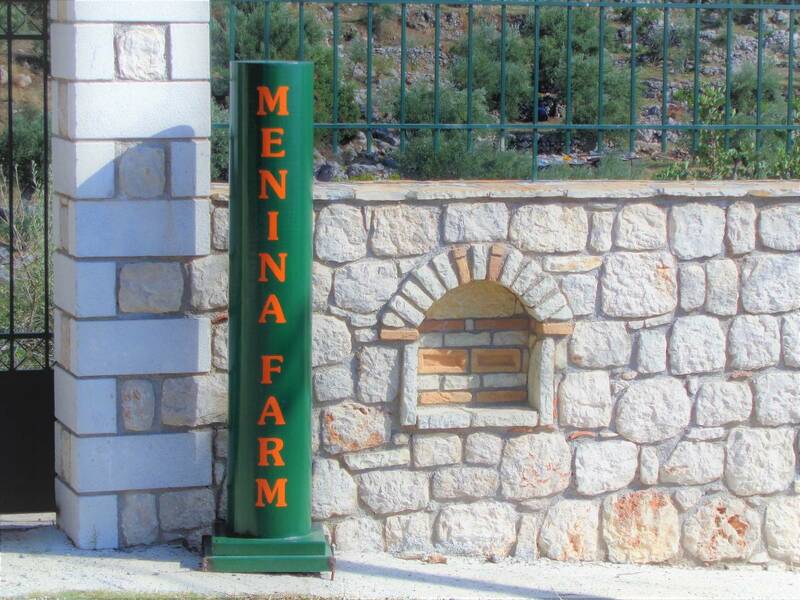 The nearest airport is Kalamata, 15 km from Menina Farm. 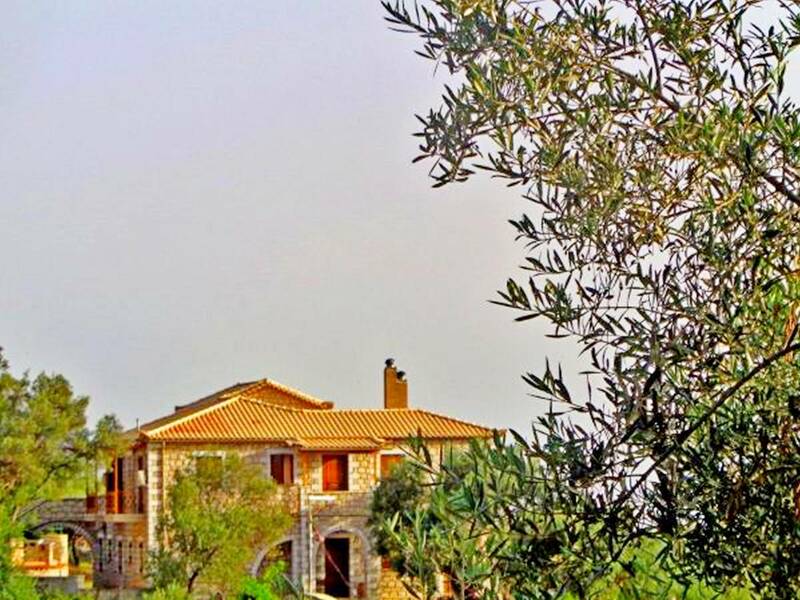 This large stone, traditional, country guest house stands within a twenty-acre farm filled with olive trees. Also hosted pony, goats, sheep, geese, chickens ... .. All together they form a majestic beauty it offers an ideal haven to spend wonderful and quietly enjoying nature, away from the noise of the city throughout the year. Three independent family homes fully equipped seventy, seventy-five and eighty square meters respectively are waiting to welcome you in a familiar environment. We provide free Wi-Fi internet and parking, breakfast in room with additional charge, transportation to and from the airport with fee, your pet is welcome. ONE BEDROOM APARTMENT PANOS Spacious apartment with two areas, seventy square meters, can accommodate up to three adults and a baby, located on the ground floor of the facility. It consists of a bedroom which has a double wooden bed with the option of a baby cot and also has a fitted wardrobe, a large living room with fireplace, where there is a sofa-bed, single spacious kitchen fully equipped with utensils and appliances, and a large bathroom with washing machine and bathtub. It is as a whole a combination of modern and traditional decoration. It features a balcony overlooking the sea and access to the garden. Facilities Included in Room Rate : Air Conditioning Fan Fireplace Interconnecting Room(s) available Iron Seating Area Sofa Bed ​Tiled / Marble floor Washing Machine Bathtub Bathroom LCD /Plasma /Flat-screen TV Radio Dining Area Kitchen Kitchenware Refrigerator Balcony Sea View Garden View Landmark View Boiler Towels (Bath) ​Toaster Cleaning Products, Linen, Wardrobe, Barbecue, Whole unit in the ground floor, Private Apartment, Outdoor furniture, Drying Rack, Dish Washing Machine, Ironing Board, Private Entrance, Soundproof. APARTMENT WITH SEA VIEW GEORGE Spacious three area apartment, a total area of eighty square meters, can accommodate up to five adults and a baby, located on the first floor of the facility. 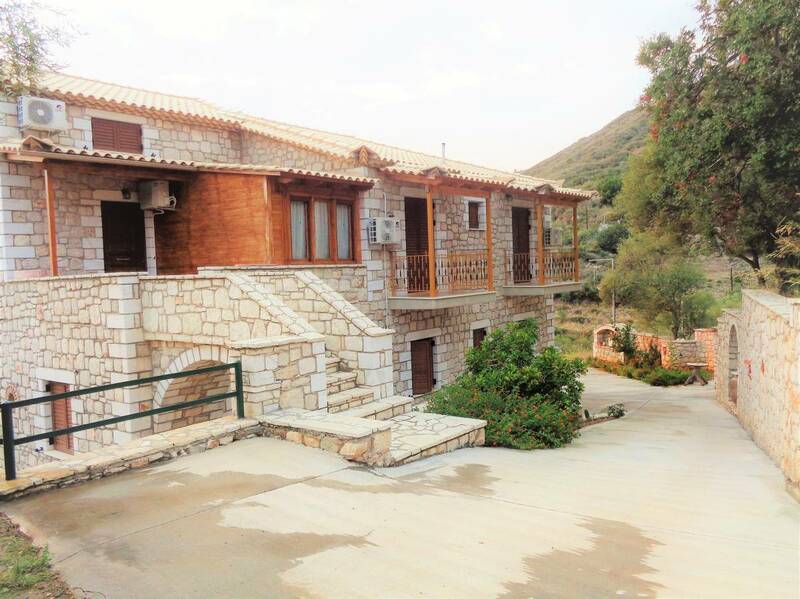 It consists of a large living room with fireplace and TV, dining room with large wooden table, six chairs and a sofa bed and a spacious kitchen fully equipped with utensils and appliances, two bedrooms traditionally furnished with a wooden double bed with capacity for a baby cot or two wooden twin beds and the other a spacious bathroom with bathtub and washing machine. It is as a whole a combination of modern and traditional decoration. It also has a terrace overlooking the sea and the town of Kalamata and balconies overlooking the beautiful mountains of Taygetos. Facilities Included in Room Rate : Fan Fireplace Heating Interconnecting Room(s) available Iron Seating Area Tiled / Marble floor Bathtub Bathroom LCD /Plasma /Flat-screen TV Dining Area Kitchen Kitchenware Refrigerator Balcony Sea View Garden View Boiler Towels (Bath) ​City View Toaster Upper floor accessible only by stairs, Cleaning Products, Linen, Wardrobe, Barbecue, Whole unit in the ground floor, Private Apartment, Outdoor furniture, Drying Rack, Dish Washing Machine, Ironing Board, Private Entrance, Soundproof. APARTMENT WITH TERRACE SOFIA Spacious three area apartment, with a total area of seventy five square meters and the capacity to accommodate up to six adults, located on the first floor of the lodging and consists of a single spacious living room with traditional furnishings and TV, kitchen fully equipped with utensils and appliances, a bedroom with traditional semi wooden bed and wardrobe and a bathroom with bath on the first level. On the second level there is a large loft upstairs with a total area of twenty-five square meters furnished with a traditional wooden double bed and a single bed. It is as a whole a combination of modern and traditional styles. 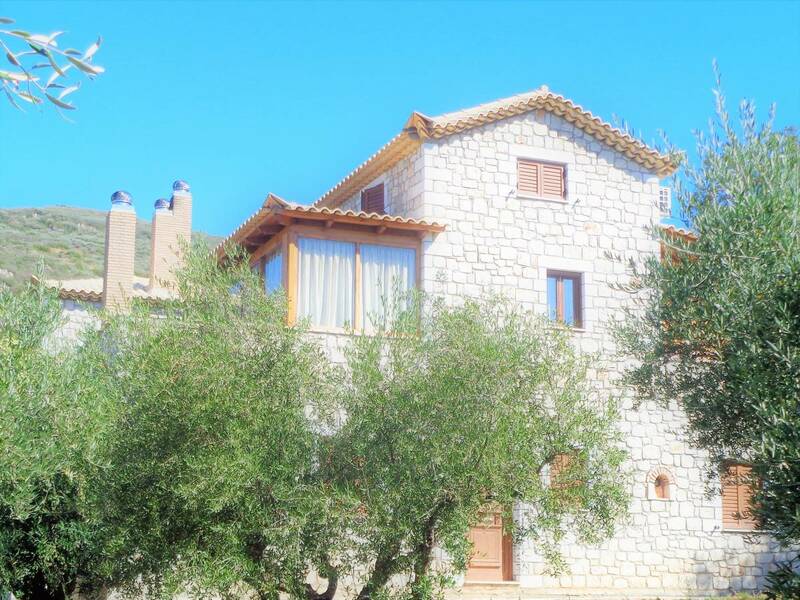 It has two terraces overlooking the Taygetos, the sea and the city of Kalamata respectively. Facilities Included in Room Rate : Air Conditioning Heating Interconnecting Room(s) available Iron Seating Area Tiled / Marble floor BathtubBathroom LCD /Plasma /Flat-screen TV Dining Area Kitchen Kitchenware Refrigerator Balcony Patio Sea View Garden View Boiler Towels (Bath) City View ​Toaster Upper floor accessible only by stairs, Cleaning Products, Linen, Wardrobe, Barbecue, Whole unit in the ground floor, Private Apartment, Outdoor furniture, Drying Rack, Dish Washing Machine, Ironing Board, Private Entrance, Soundproof. 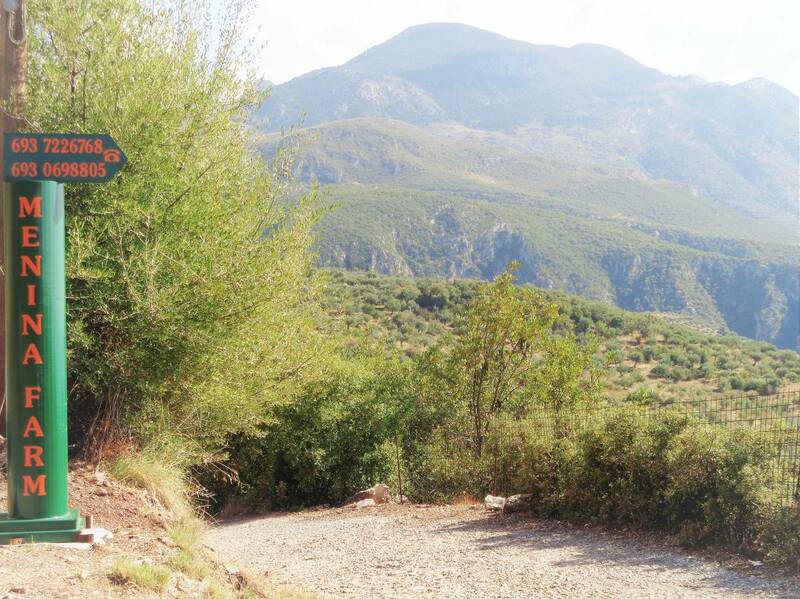 Our accommodation is situated at a distance of six kilometers from Kalamata, at the foot of Taygetos and between settlements and Menina, Perivolakia Elaiochorio and has been created with respect for the environment and tradition. It is about 50 km from Pylos, in Costa Navarino, Methoni and Koroni, 42 km from Mystras, 45 km from Sparta, 44 km from Stoupa Mani and 80 km from the Caves of Diros. 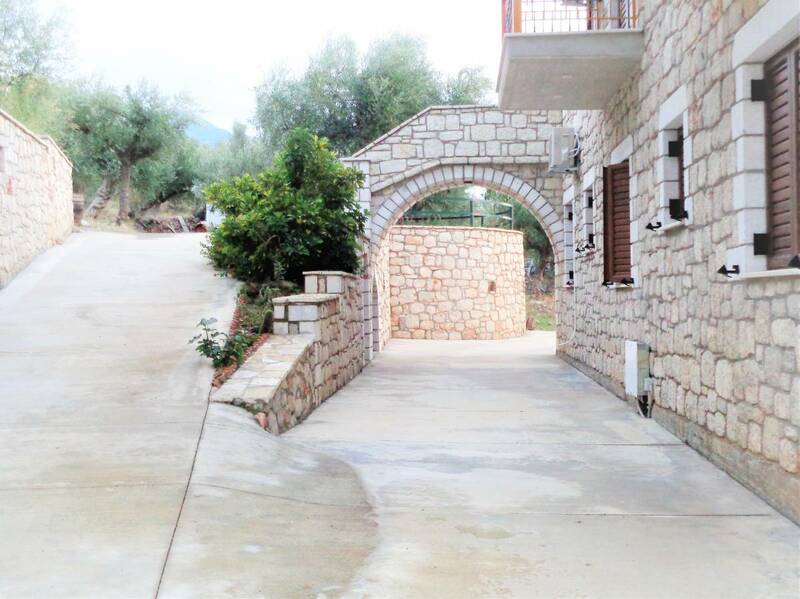 The nearest airport is Kalamata airport, 16 km from Menina Farm. The restaurant was founded in 1924 by "Uncle John" - You can enjoy dishes like: Moussaka Pasticcio Stuffed tomatoes and peppers with rice Burgers αnd much more. The visitor will charge 50% of the total price if canceled after the reservation and the total price if canceled within 7 days prior to arrival.